Despite such unfortunate trends, the charge that even self professed skeptics can display notable selective biases in the application of their skepticism is warranted. Indeed, the fact that such a phenomena exists is also acknowledged by skeptics, who have a term for when people are failing to apply their critical perspective to a certain cherished topic; possessing a ‘sacred cow’. For instance, a widespread sacred cow, that I also possessed, is the popular Western perception of Buddhism as an atheistic and scientific philosophical system. I became disabused of such notions, swiftly and painfully, through my decision to study about Buddhist cultures and history during my undergraduate degree but the idealistic portrayal remains all pervasive and crops up everywhere from Academic articles to Russell Brand’s rants (and occasionally, my facebook feed). Although I had that particular cow prematurely slaughtered, it is almost certain that there is a whole invisible herd inhabiting my thought processes and views, just waiting for the right motivation (such as encountering evidence that vitamin pills are of practically no use) to make themselves heard. … multiple crocodiles swimming around a school of fish in an ever-tightening circle until the fish were essentially a tight ball of snacks. The crocs would then take turns diving through the center of the ball for a mouth full of them. At other times, larger crocodiles would drive fish from deep water into shallow water where smaller more agile ones could ambush them and chase them down. In one case, a salt-water crocodile chased a pig off a trail into a lagoon where two small crocs were waiting in ambush. A major problem in evaluating opportunistic observations of coordination and collaboration during hunting is that the intentions of the participating animals can virtually never be known with certainty. Did they intentionally drive the prey towards the ambushers, or was it just a coincidence? Did other hunters anticipate the prey’s movement and position themselves so as to intercept it, or did they just happen to be in the right place in the right time? Was it really mutual cooperation, or were some animals simply snatching prey that was being pursued by others? The only way to convincingly demonstrate coordination and collaboration is to make numerous observations, showing that the observed patterns are too regular to be artefacts. In the case of crocodilians, this is extremely difficult to do. They do not spend as much time hunting as do mammals or birds, they are predominantly nocturnal and much of their hunting is conducted underwater, often in murky waters. Dinets is convinced that the perceived coordination and collaboration abilities are real due to his own extensive personal observations and the “striking” similarity “between some of the accounts by independent observers” (2014: 5). However, there are other plausible explanations for the similarity such as: 1) the judgements of similarity being made by a researcher with a vested interest in a particular outcomeand 2) all of the researchers making the observations carry with them the same human intention seeking bias, that would seem especially prone to activate when trying to interpret the actions of large predators. What compounds the issue of bias further is the method through which the accounts were collected, as reported in the University press release: “Dinets used Facebook and other social media sites to solicit eyewitness accounts from amateur naturalists, crocodile researchers and nonscientists working with crocodiles”. This method is understandable, given the difficulty with observing the hunting behaviours of “ambush hunters [who] have slow metabolisms… eat much less frequently … are mostly nocturnal and often hunt in murky, overgrown waters of remote tropical rivers and swamps” (again from the press release). However, it also essentially guarantees that you will receive stories/confirmation, including from non-scientists, who may be very adept observers but are likely much less aware of issues of anthropocentric projection. 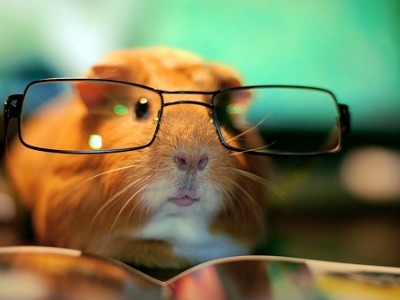 Imagine the response, for example, if you asked on social network for accounts of hamsters understanding human speech. I suspect you would receive many reports and you would likely also find that the narratives about such language sensitive hamsters similar, but is that really good evidence that hamsters possess such an ability? What’s that you say? Stocks are down? Chris – I agree with you. I had the same thought when I will listening back over the segment. 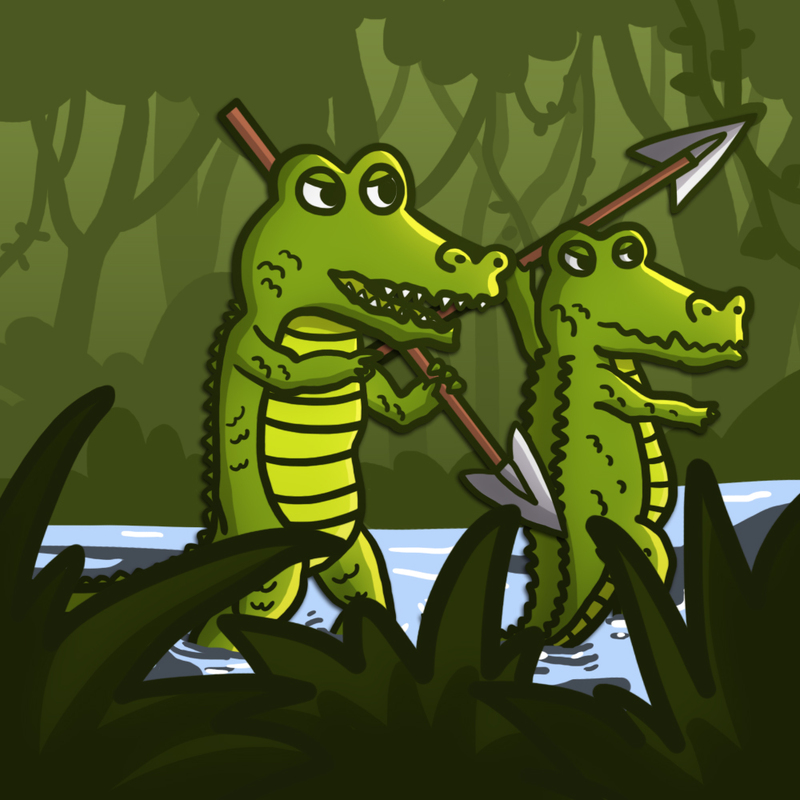 Crocodiles being ambush hunters may be enough to explain these observations. It will be interesting if researchers can figure out a way to distinguish between deliberate and accidental interaction between crocodilians during hunting. Fun – I had never thought about cooperative hunting. And your post’s excellent illustration made me want the conclusion to be that crocs are such critters. Alas, we can’t always have what we want, eh? Great example of the challenges of doing good science and artful drawn on a subject matter that should not naturally contain bias for the average reader. I have lost many sacred cows over my years — but have somewhat rejoiced in the discovery of my own biases. I wonder if their is a temperament spectrum on the love of overthrowing one’s own cherished ideas. Well stated Chris as to be human is to be biased such that, as you say, that which we have to be most skeptical of is that which we’d most like to be true. Is that to say that MCI Theory may not be as broadly applicable as previously thought? And yes, I would argue that the best evidence for MCIs hypothesised advantage is found only in the U25s. There is some justification for regarding this as a crucially receptive window for the transmission of cultural concepts/norms but it does have a whiff of post hoc rationalising. Either way, Justin Gregory has a bunch of very nice forthcoming papers that speak to the issue and the recent Banerjee et al. paper also found the effect using a young sample. No, sorry to say, I won’t be attending – I’m on the other coast, in Maine, and San Diego is more than just bit beyond what I can justify travel expense-wise for what amounts to a hobby – just an interested amateur here. I’ll have to give ‘Melting Lizards and Crying Mailboxes’ a reread(that’s a great title) and will keep an eye out for Gregory’s work – thanks!